2010 Galerie de la Ville, Dollard des Ormeaux, Qc. Group show. 2009 Yes Montreal, Auction, fund raiser Montreal Qc. 2008 Art at Home. Mobilia, Pointe Claire Qc. 2007 Tutor Hall, Ogilvies, The Canadian Society of Artists, Juried Exhibit, Montreal, Qc. 2003 Journée de la Culture Studio tour exhibitor. 1998 Bistro San Lucas, Montreal, Qc.. Solo show. 1996 Galerie L’Ile des Moulins Terrebonne, Qc. Solo show. 1993 Galerie Kutz Mtl., Qc. Solo show. 1992 Galerie L’Ile des Moulins Terrebonne, Qc.. Duo show. 1990 Galerie Gemst, Mtl., Qc. Solo show. 1988Galerie Enfin, Mtl., Qc. Solo show. 1986 Galerie Articule, Benefit Exhibition, Group show. 1988 Publicity Poster for fund raising event to benefit the A.N.C. 1988 Theater Poster for the McGill Players production of “The Father”. 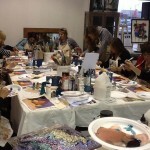 2002-present Golden Paint Working Artist training, Certified Lectures and workshops. 2013 Concordia University Art Education dept. 2009 Dawson College, in studio lecture Contemporary Painting Practices. 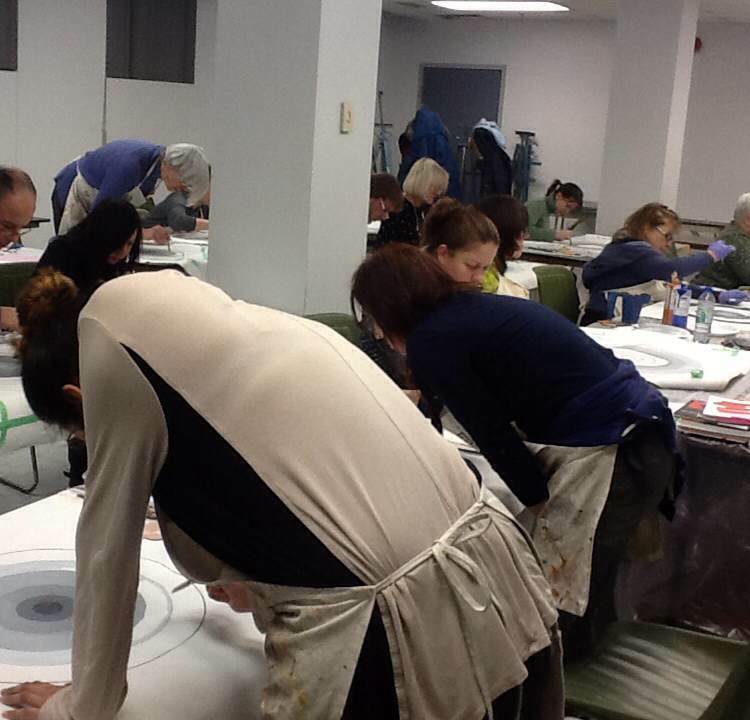 2008 – Present Stewart Hall Culturel Centre Contemporary Painting Practices. 2004 Guest lecturer at The Canadian Society of Artists 37th Annual Juried Exhibition.